Hey dudes! So next up on the list is the gambling. 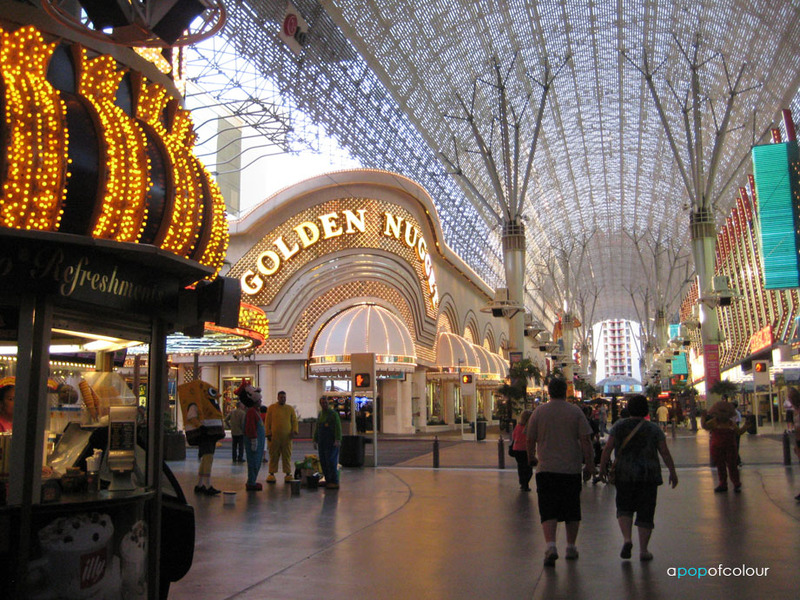 Up until a few years ago the number one reason people visited Las Vegas was because they wanted to gamble, now I think the number one reason is to shop. If you are over the age of 21 I think gambling is pretty much mandatory. Now with that being said, I’m not a gambler at all. As much as I would love to win a ton of money, the odds are always in the house’s favour, the house being the casino. I like my money where I can see it, preferably in my wallet. Because we were in Las Vegas, I had a gamble a bit though, nothing too crazy. All in all, I broke even, I started with $15 and walked away with $15. My friend on the other hand won $300 in one shot. Okay, here is the thing about gambling, do your research!! Before going, I looked up the best games with the greatest odds. I personally would totally bypass the slot machines, sure they are fun, but remember, they are machines. You can win on some, but the majority of them are designed to take your money away. I wouldn’t even bother with the penny slots either, they can add up quickly and you don’t really win much on those anyways. According to numerous websites, Craps and Roulette have good odds of winning and so does Blackjack. The only game I knew how to play going in was Blackjack, I tried teaching myself Craps by downloading apps on my iPhone but I wasn’t comfortable enough to play it. I did play Roulette (by placing bets on either red or black) and both won and lost. Same goes for Blackjack. Okay, if you are like me and don’t ever really gamble, I have two tips for you. 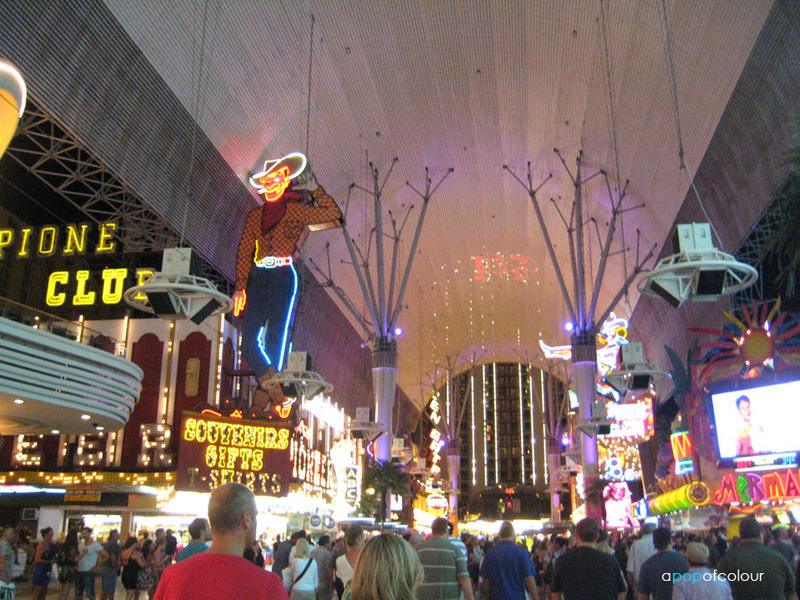 One, save your money for Fremont Street. 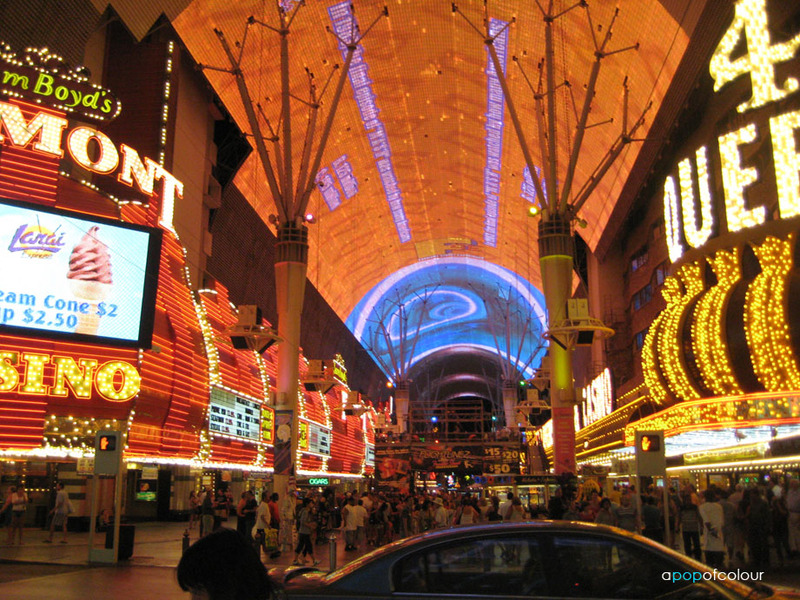 Fremont Street, located in gorgeous downtown Las Vegas (I’m kidding) is home to the Fremont Street Experience, which is basically a bunch of casinos attached to each other with a canopy over top filled with LCD lights. Every few hours in the evenings the canopy plays a light and sound show, click here to see what I mean. They also have entertainment, cheaper souvenirs/drinks, ziplining, etc. Anyways, the thing about the Fremont casinos is they have lower table minimums. The majority of the Strip casino table mins are $10, on Fremont they have $5 tables (maybe even lower, the lowest I saw was $5). I don’t really want to lose $10 on a hand in Blackjack, but I don’t mind losing $5. Another tip I have, and I cannot stress this enough, is sign up for the casino player card! Aside from awesome offers (as well as comped rooms, buffets, shows, etc. if you play for a long enough time), some of them also offer perks when you sign up like free slot play. Basically what that is is a voucher for free money, now with that being said, you can’t just put the voucher in the machine and cash out, they work like credits but whatever you win you keep. 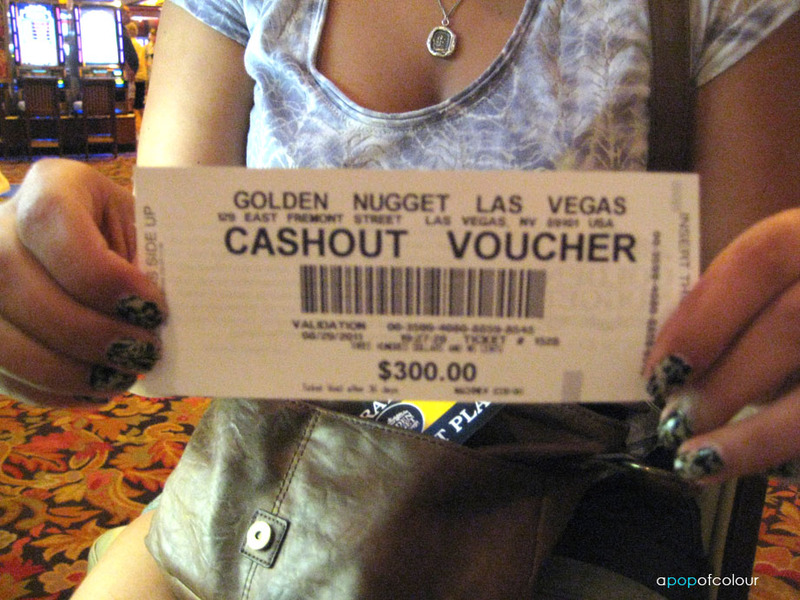 My friend and I went to the Golden Nugget and got $5 in free slot play. The free slot play machines usually have a sticker on them so we went to the first ones we saw. Those turned out to be $5 machines, which are like “high roller” machines. We didn’t realize this until we already put in the promo codes etc. Well, lucky for my friend, she won $300. Yes, $300 off a free slot play, something that cost her nothing to play. I cannot stress enough the importance of getting the casino player’s card. After she won I kid you not, we went to every casino on Fremont and signed up for player’s cards. Not all of them offer free slot plays (for some of them you have to spend money first), but a lot of them do. Plus they are kind of like souvenirs in their own rights. I myself won $5 off a $5 free slot play, so I basically got $10 for free. Well those are my tips for gambling in Vegas. I hope this post helps some of you out there, I know when I was doing research ahead of time this information would have been really valuable to me. Like I said I’m not a gambler, but hey, it’s Vegas right? And just like anything else, there are little tips and tricks to actually winning. Leave me a comment if you have any advice, or even the highest payout you have ever gotten! And don’t forget to subscribe :).